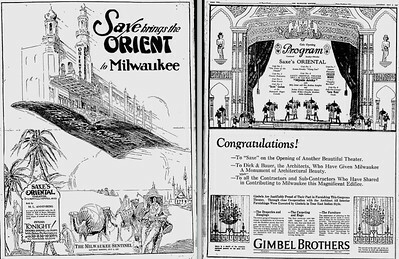 The Oriental Theatre in Milwaukee. 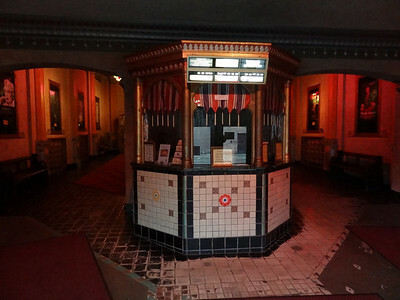 Built in 1927. 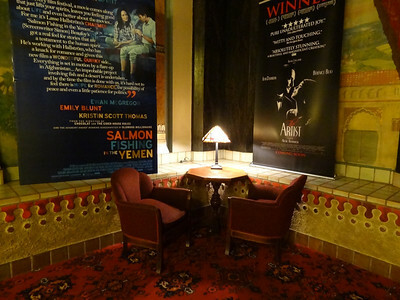 A beautiful place to watch a movie. 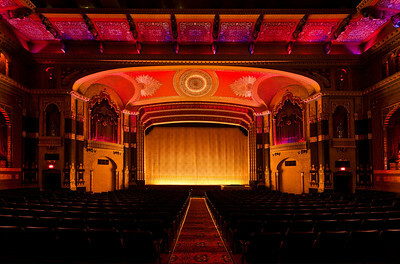 Now one of the nation's top 10 theaters (USA Today, Entertainment Weekly, Moving Pictures Magazine). 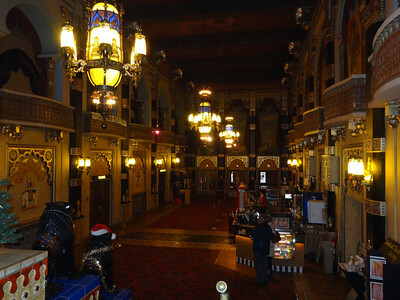 For more background on the theater, go to http://www.astortheater.org/history3.html. 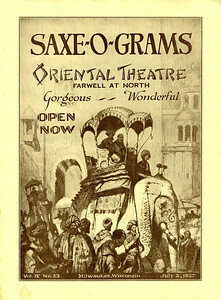 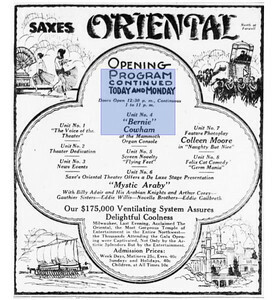 Original flyer for opening night. 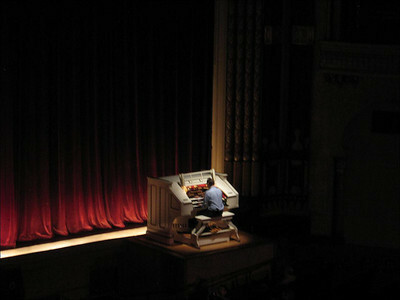 The organ platform which rises up to stage level for performances. 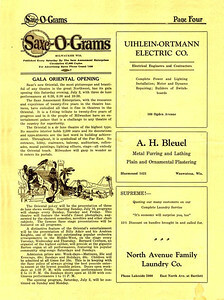 Original news story for opening night. 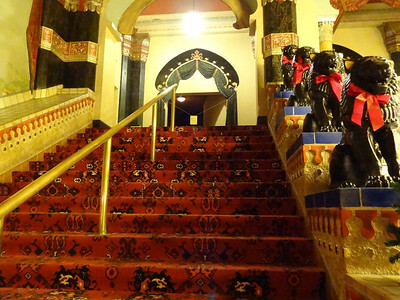 Landing on stairway to balcony level. 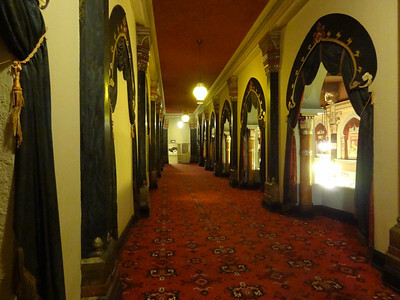 Promade on the balcony level.